The difficult years of the Memoranda era in Greece, have left the negative social and economic impact on the military personnel, as well as to all Greek people. The absence, in the Ministry of National Defence, of a specific department of designing and implementing support programs to the soldiers – which are about to be retired – for the enhanced pre-accession to new social roles, creates additional problems. In all contemporary armies, specialized programs are being developed to inform and properly prepare for the psychological changes that occur during the transition of active professional life in retirement. In this context, as well as in the wider context of “Social Care”, ANEAED Board decided to approve a relevant program titled: “PROMETHEUS Program”. This concerns the general support of vulnerable groups of retired military personnel and their families. The program will include a variety of actions, which will be undertaken gradually, depending on the potential of ANEAED. The aim is to promote and supply social benefit and social care, to seek collective benefits and to serve more general social interests. The first action of this program, which is being implemented, concerns the setting-up of a Working Group by ANEAED, which will undertake, investigate, process, submit proposals, implement, evaluate, the Program and the actions of “PROMETHEUS”. Formulation of proposals to support retired military, informing beneficiaries, advising, preventing exclusion and worsening of situations, reducing dysfunctions, developing a welfare area for retired people, implementing a coherent framework of actions with axes: information, training, counseling, benefits in kind, disabilities, chronic patients and elderly people. 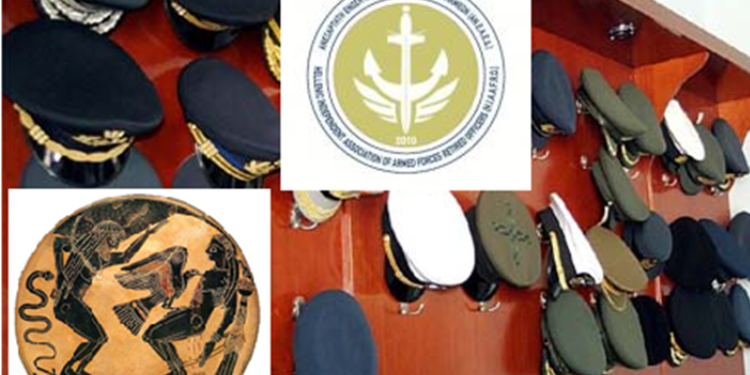 Attracting the three Ministry Military Associations (Public Entities) in similar directions. ANEAED’s attempt to stand by vulnerable deployed military personnel and their families will be lasting and dynamic. Already, ANEAED Board has publicly invited its members, friends and all the retired personnel to assist in every possible way the work of the Working Group and the actions of the above program. For more information, please contact ANEAED.